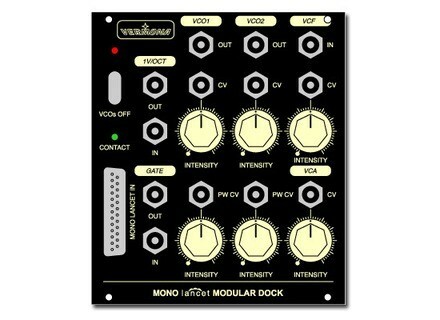 Mono Lancet Modular Dock, Generator module for modular synthesizer from Vermona. The Modular Dock is the connection between the Mono Lancet and your modular system. It can be your start into the modular world as well as a great expansion for the modules you already have. 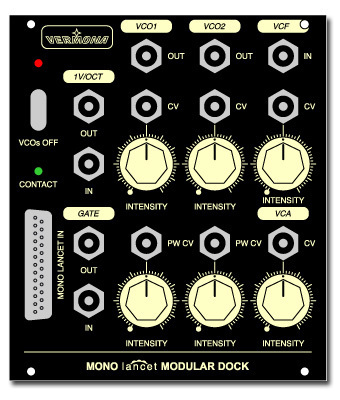 The “Modular Dock“ is an optional extension for the analog synthesizer “Mono Lancet” by Vermona. It comes in form of a 3HE eurorack module (22 HP). Among others the module features CV inputs for oscillator and filter frequencies and adds pulsewidth modulation to the Mono Lancet. The synthesizers 24db lowpass filter can now be feed with external signals. EU Retail: EUR 165,00 (incl. 19% VAT). Check out Vermona for more details. White Horse Launch Range of Keyboard Amps Gear4music.com have debuted two new keyboard amplifiers alongside their existing range of White Horse guitar amps - the KA-60 60W Keyboard Amp and KA-120 120W Keyboard Amp.